This is a really lovely vintage cotton hand tatted lace! It’s a unique orangey-salmon color. 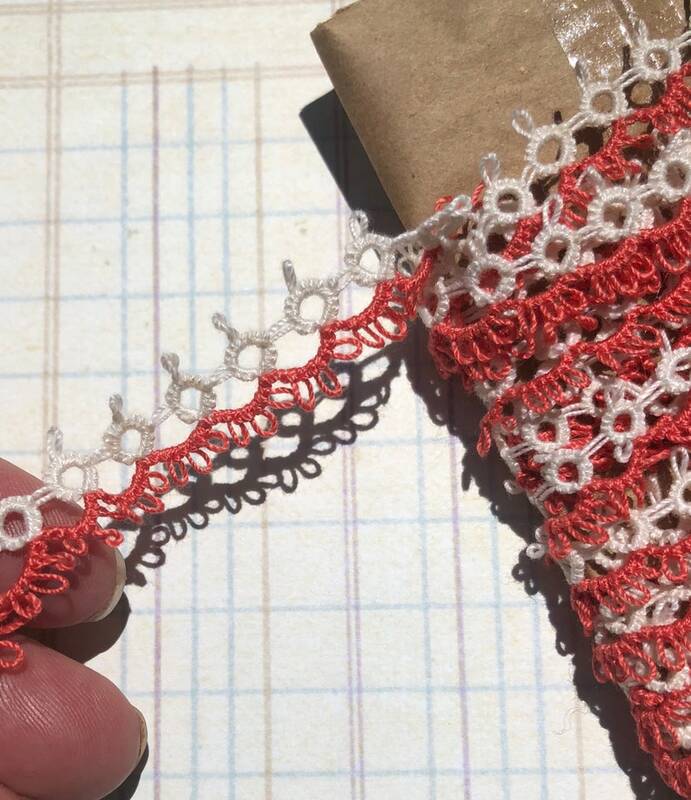 This tatting is 1/2 inch wide and 2 yards, 10 inches long. This tatting is in very good condition, with just some minor age discoloration in a few spots.